The goal of this post will be to walk through the necessary AIF setup required to utilize the Send button in the Account Payable Journal Voucher form. 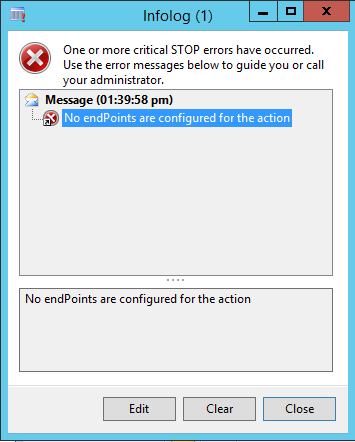 Clicking on the Send button without setup will result in an error message without much description on how to configure the necessary end point. 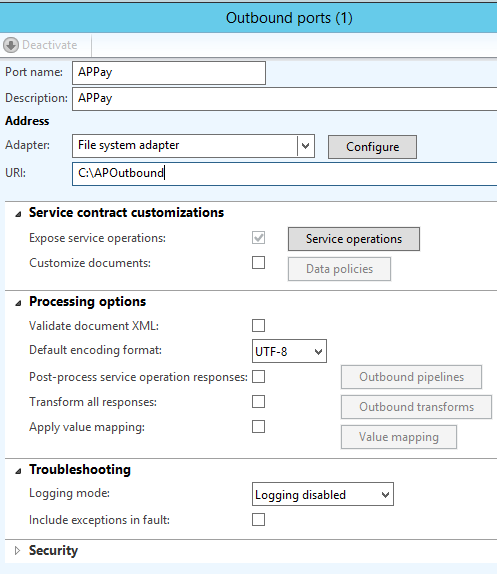 Additional configuration: AIF outbound process will need to be configured and running to pick up and process this output. For documentation on configuring AIF processing in batch see the additional document below.